And the day is only half over. At 2pm, you'll drive to Everglades National Park for an airboat ride and wildlife show. It's easy to see the 2 best places in one day. This is for Miami Airport passengers with domestic flights after 8pm. You will arrive to the airport at 6pm. A taxi from Bayside costs $25. Did the combo Miami to the max and Everglades and it was very good. 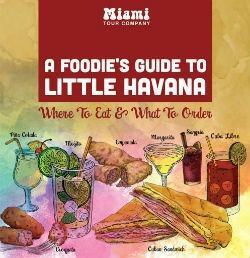 Interesting tours around different areas of Miami with lunch in Little Havana. Then a trip to the Everglades with an airboat trip and an informativ and funny show. We were a party of three visiting Miami for only two days and were interested in seeing the highlights of the city. After reading raving reviews about Miami Tour Company, I decided to give it a try. I am glad I did! The instructions to park at Bayside Marketplace and to find the bus were perfect. We were greeted by Jim, the driver, who did a fabulous job in a city were traffic is awful. Pancho, the guide, was very polite and made sure that my parents, who only speak Spanish, understood everything that was being said. Both he and Jim were very knowledgeable and professional. Timing was excellent: we departed right on time and we were given enough time at each stop to take photos and walk around. We never felt rushed. The tour lasted for 4 hours and included Miami Beach (including South Beach), Wynwood Walls, and Little Havana. Between stops, both Pancho and Jim shared interesting facts about the city and the buildings we passed by. It rained during part of the tour, and we were given huge umbrellas to stay dry. There was also bottled water on the bus and we could charge our phones right from our seats. Also, my parents were given headphones so that they could hear part of the tour in Spanish. Oh, and the bus was sparkling clean! All in all, it was a wonderful experience and I highly recommend this tour. Comfortable, informative and a great value. We booked a "Miami to the Max!" tour and an Everglades tour back to back. The bus was comfortable and the driver, Jim, and his assistant, Pancho," were informative and very interesting. The itinerary included a number of sights with time to explore. The lunch offered was a pleasant surprise when compared to what one so often gets - Salad, rice and beans, chicken enchilada, Cuban sandwich, and a pastry for dessert. After that, to an ice cream shop. Everything was included. Our Everglades tour included an airboat ride and educational program. In addition to the taped commentary, Jim added a lot of his personal insights. As if this were not enough, as we needed to get to the airport, our driver detoured and dropped us off at a hotel near the airport where we could catch a cab much more economically. Overall we had a fantastic time and would recommend it heartily! We did a tour off a cruise ship that we arranged privately. 55 on the tour with city tour in the morning and Everglades in the afternoon. Great communication, advice and information from the pair all day. Loved South Beach the murals and Little Havana. We had an hour in each area. Not rushed at all. Now the Everglades was disappointing but that’s not the tour guides fault. Numerous problems with our boat and whilst the Captain was good she was hampered by breakdown in her equipment. Great driver and guide. Well run operation. 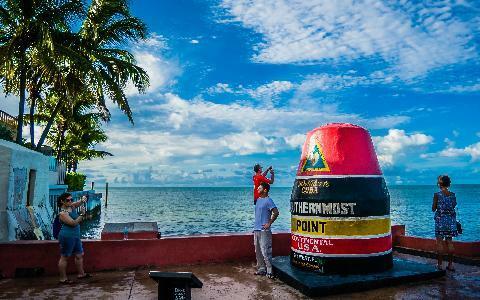 Miami Tour Company gave us the Best tour of Miami and the Everglades for a very affordable price. The tour started in Miami and took us through South Beach, Wynwood, and Little Havana. It ended with the Everglades tour. During the Miami trip, thy provided food at a very delicious Cuban restaurant with tons of food to eat. Additionally, they also took us to an ice cream parlor for free ice cream, which was amazing.